Tunisian authorities with the Tunisian flag at the site of an attack by Islamist militants on an army and police barracks on March 7, 2016, in Ben Guerdane, Tunisia. The Islamic State of Iraq and al Sham (ISIS) is maintaining a cell near Sabratha, Libya to conduct attacks into Tunisia. Militants probably from this cell crossed the Tunisian-Libyan border and assaulted security forces in Ben Guerdane, Tunisia on March 7. This attack would be the first significant ground operation undertaken by ISIS in Tunisia if the affiliation of the fighters is confirmed. The ISIS cell in Sabratha will continue to attack Tunisia, threatening the last, fragile success story of the Arab Spring. 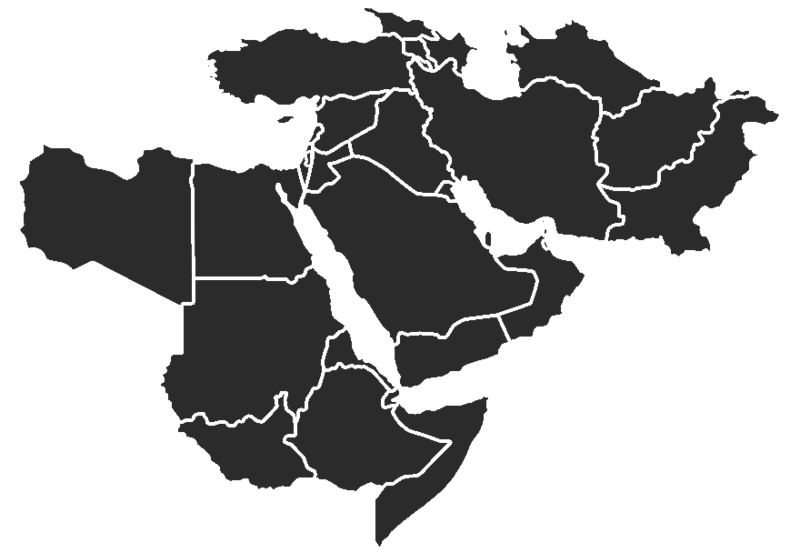 Libya is a support zone for ISIS operations in Tunisia. Prominent Tunisian militants relocated from Tunisia to Sabratha in 2015 and remain focused on their homeland. Preliminary reports from Ben Guerdane indicate that the attackers were Tunisian militants who went to Libya to join ISIS. Some of them took refuge in a house owned by a senior ISIS militant named Adel Ghandri, who was likely present in northwestern Libya at the time of a February 19 U.S. airstrike on an ISIS camp near Sabratha. The ISIS militants who attacked the Bardo Museum in Tunis in March 2015 and the gunman who attacked a tourist resort in Sousse in June 2015 had both trained at that camp. The Tunisian-focused ISIS cell in Sabratha appears to maintain some degree of independence from the Sirte-based command and control structures. The Sabratha cell held on to several Western hostages rather than transferring them to ISIS’s stronghold in Sirte, which is noteworthy since Western hostages are significant sources of leverage and income for the group. The Sabratha cell has not joined the other ISIS Libyan wilayats that have been collaborating to support the group’s expansion, which is focused on central Libya’s oil crescent. The Libyan wilayats have not claimed credit for the Sabratha cell’s attacks, which they probably would have done had the ISIS command in Sirte ordered them. The Sabratha cell appears to be led by senior Tunisian militants, finally, including those individuals responsible for the Bardo Museum and Sousse attacks, among whom was Tunisian Noureddine Chouchane, reported killed by the February 19 U.S. airstrike near Sabratha. The cell also appears to run with limited involvement by Libyan ISIS militants and no known presence of the Iraqi and Saudi leadership that is helping direct ISIS operations in Sirte. The Sabratha cell looks more like the nucleus of a group meant to shift into Tunisia at the first opportunity than an ISIS cell in Libya that happens to be on the Tunisian border. The attack on Ben Guerdane was coordinated and planned, evincing a significant guerrilla capability. A smaller group of militants crossed the Libyan border and fought Tunisian border forces on March 2, likely in preparation for the larger assault. Dozens of militants then launched simultaneous attacks supported by heavy weapons on military and police barracks, a national-guard station, and a police station on March 7. The militants also killed a local official from Tunisia’s ruling party, although it is not known if he was a pre-determined target of the operation. The attack on Ben Guerdane is likely part of a coherent strategy for destabilizing and possibly expanding into Tunisia. The Sabratha cell needs to disrupt Tunisia’s border security to facilitate the flow of fighters from Tunisia, as well as to establish its ability to operate safely in the border region. The attack may be a response to Tunisian and British efforts to increase Tunisia’s border security. The cell may be preparing to launch a sustained offensive on the border with the possible objective of declaring a Tunisian wilayat. The border attacks may also be meant to distract from ISIS efforts to grow in central Tunisia, where recent reports indicate a rising ISIS presence and the possible defection of al Qaeda in the Islamic Maghreb (AQIM)-linked militants to the group. The coordinated ISIS campaign in Tunisia poses a serious threat to Tunisia’s security. Increased ISIS activity in Tunisia is likely meant to push the country’s democratic project toward failure, and it may succeed. Popular protests in January 2016 included complaints about the government’s inability to protect the population from militancy, both along the Libyan border and in Tunisia’s northeastern mountains. The ISIS campaign may also provoke a security crackdown from the state; President Beji Caid Essebsi responded to the Ben Guerdane attack by emphasizing ISIS’s intent to “take control of the region” and cited Article 80 of the Tunisian Constitution, which allows the president to take “any measures” necessary in the event of a security crisis. Such a crackdown could feed resentment and fuel support for ISIS if it is poorly or brutally conducted. The ISIS campaign against Tunisia from Libyan bases demonstrates once again the challenges of trying to contain ISIS within uncontested safe-havens. Jaclyn Stutz and Harleen Gambhir contributed research and insight to this piece. Farah Samti and Declan Walsh, “Clash at Tunisian Military Barracks Near Libya Kills Dozens,” New York Times, March 7, 2016, http://www.nytimes.com/2016/03/08/world/africa/attack-tunisia-libya-border.html?_r=0; and “An eyewitness: ‘the terrorists knew the safe houses,’” Shems, March 7, 2016, http://www.shemsfm.net/fr/actualite/un-temoin-oculaire-les-terroristes-connaissaient-les-maisons-des-securitaires-134735 [French]. Patrick Markey and Tarek Amara, “Homegrown jihadists with Libya ties target Tunisia’s democracy,” Reuters, July 7, 2015, http://uk.reuters.com/article/uk-tunisia-security-idUKKCN0PH22K20150707. “An eyewitness: ‘the terrorists knew the safe houses,’” Shems; Twitter, Tunisian sisters who went to Sirte to join ISIS seen participating in Ben Guerdane attack, , March 7, 2016; “Ben Guerdane: Exchange of fire from dawn (video),” Mosaique.fm, March 7, 2016, http://www.mosaiquefm.net/fr/6682/ben-guerdane-affrontement-terroriste.html [French]; Thomas Gibbons-Neff, “This is the ISIS militant the U.S. might have just killed in Libya,” The Washington Post, February 19, 2016, https://www.washingtonpost.com/news/checkpoint/wp/2016/02/19/this-is-the-isis-militant-the-u-s-might-have-just-killed-in-libya/; “Ben Guerdane: Information on the arrest of terrorist Adel Ghandri,” Mosaique.fm, March 7, 2016, http://www.mosaiquefm.net/fr/actualit%C3%A9-regional-tunisie/6811/affrontements-ben-guerdane-terroristes.html [French]. Jared Ferris, “Desknote: ISIS Signals Tunisian Presence with Bardo Museum Attack,” AEI’s Critical Threats Project, March 20, 2015, http://www.criticalthreats.org/west-africa/ferris-bardo-museum-attack-march-20-2015; Chris Stephen, “Tunisia gunman trained in Libya at same time as Bardo museum attackers,” The Guardian, June 30, 2015, http://www.theguardian.com/world/2015/jun/30/tunisia-beach-attack-seifeddine-rezgui-libya-bardo-museum-attackers; and Press Operations, “Statement from Pentagon Press Secretary Peter Cook on Libya Airstrike,” U.S. Department of Defense, February 19, 2016, http://www.defense.gov/News/News-Releases/News-Release-View/Article/658458/statement-from-pentagon-press-secretary-peter-cook-on-libya-airstrike. Aleksandar Vasovic and Ahmed Elumami, “Two abducted Serbs killed in U.S. Libya raids on Islamic State,” Reuters, February 20, 2016,” http://www.reuters.com/article/us-serbia-security-libya-idUSKCN0VT0CQ; and Crispian Balmer, “Two Italian hostages freed in Libya after companions die,” Reuters, March 4, 2016, http://www.reuters.com/article/us-libya-italy-hostages-idUSKCN0W60SC. Claire Coyne, Emily Estelle, and Harleen Gambhir, “ISIS’s Campaign in Libya: January 4-February 19, 2016,” AEI’s Critical Threats Project and the Institute for the Study of War, February 19, 2016, http://www.criticalthreats.org/libya/coyne-estelle-gambhir-isis-campaign-in-libya-february-19-2016. Thomas Gibbons-Neff, “This is the ISIS militant the U.S. might have just killed in Libya,” The Washington Post; and “Ben Guerdane: Information on the arrest of terrorist Adel Ghandri,” Mosaique.fm. Saber Ayyub, “Rada claims capture of new IS Sabratha leader,” Libya Herald, February 24, 2016, https://www.libyaherald.com/2016/02/24/rada-claims-capture-of-new-is-sabratha-leader/; and Emily Estelle and Katherine Zimmerman, “Backgrounder: Fighting Forces in Libya,” AEI’s Critical Threats Project, March 3, 2016, http://www.criticalthreats.org/libya/estelle-zimmerman-backgrounder-fighting-forces-in-libya-march-3-2016. “Ben Geurdane: Ali Kediri, a member of the local office of Nidaa Tounes killed in clashes,” Mosaique.fm, March 7, 2016, http://mosaiquefm.net/fr/actualite-national-tunisie/6816/ben-guerdane-affrontements-terroristes.html. Alessandria Masi, “Islamic State ‘Caliphate’ In Libya Depends On Tunisian Foreign Fighters And Desert Training Camps,” International Business Times, February 20, 2015, http://www.ibtimes.com/islamic-state-caliphate-libya-depends-tunisian-foreign-fighters-desert-training-camps-1822318. Tarek Amara, “Tunisia finishes Libya border fence intended to keep out militants,” Reuters, February 6, 2016, http://www.reuters.com/article/us-tunisia-security-idUSKCN0VF0VR; “UK to send troops to Tunisia to help stop IS crossing Libyan border,” Reuters, March 1, 2016, http://uk.reuters.com/article/uk-britain-tunisia-libya-idUKKCN0W33OY; and Saber Ayyub and Ajnadin Mustafa, “Sabratha combing operations continue as IS women fighters reported,” Libya Herald, February 27, 2016, https://www.libyaherald.com/2016/02/27/sabratha-combing-operations-continue-as-is-women-fighters-reported/. See discussion of ISIS’s efforts in Tunisia in the eight issue of the group’s English-language magazine, Dabiq, entitled “Shari’ah alone will rule Africa,” March 2015. Available from the Clarion Project: http://media.clarionproject.org/files/islamic-state/isis-isil-islamic-state-magazine-issue+8-sharia-alone-will-rule-africa.pdf. Fatin al Abadi, “Seizure of houses in Jalima: A group from the terrorist Fallujah Brigade promised slaughter,” al Jarida, March 6, 2016, https://www.aljarida.com.tn/%D8%A7%D9%82%D8%AA%D8%AD%D8%A7%D9%85-%D9%85%D9%86%D8%A7%D8%B2%D9%84-%D8%A8%D8%AC%D9%84%D9%85%D8%A9-%D8%A7%D9%84%D9%85%D8%AC%D9%85%D9%88%D8%B9%D8%A9-%D8%AA%D8%A7%D8%A8%D8%B9%D8%A9-%D9%84%D9%83%D8%AA%D9%8A%D8%A8%D8%A9-%D8%A7%D9%84%D9%81%D9%84%D9%88%D8%AC%D8%A9-%D8%A7%D9%84%D8%A5%D8%B1%D9%87%D8%A7%D8%A8%D9%8A%D8%A9-%D9%88%D8%A7%D8%AF%D8%B9%D8%AA-%D8%B0%D8%A8%D8%AD-%D9%85%D8%A8%D8%B1%D9%88%D9%83-%D8%A7%D9%84%D8%B3%D9%84%D8%B7%D8%A7%D9%86%D9%8A; and Fatin al Abadi, “Jabal al Kef and Jendouba: The terrorist groups are purifying their members and this is the reason,” al Jarida, February 27, 2016, https://www.aljarida.com.tn/%D8%AC%D8%A8%D8%A7%D9%84-%D8%A7%D9%84%D9%83%D8%A7%D9%81-%D9%88%D8%AC%D9%86%D8%AF%D9%88%D8%A8%D8%A9-%D8%A7%D9%84%D8%AC%D9%85%D8%A7%D8%B9%D8%A7%D8%AA-%D8%A7%D9%84%D8%A5%D8%B1%D9%87%D8%A7%D8%A8%D9%8A%D8%A9-%D8%AA%D9%82%D9%88%D9%85-%D8%A8%D8%AA%D8%B5%D9%81%D9%8A%D8%A9-%D8%B9%D9%86%D8%A7%D8%B5%D8%B1%D9%87%D8%A7-%D9%88%D9%87%D8%B0%D8%A7-%D8%A7%D9%84%D8%B3%D8%A8%D8%A8. “Tunisia: villagers demand protection against jihadists,” AFP, January 4, 2016, https://www.lorientlejour.com/article/963140/tunisie-des-villageois-reclament-une-protection-face-aux-jihadistes.html [French]; “Protests in Tunis after decent to prevent entry of young men to Libya,” al Wasat, January 5, 2016, http://alwasat.ly/ar/news/tunis/91527/ [Arabic]. “Authorities see armed attack in Ben Guerdane attempt to establish ‘Daesh’ emirate,” TAP, March 7, 2016, http://www.tap.info.tn/en/index.php/politics2/34060-authorities-see-armed-attack-in-ben-guerdane-attempt-to-establish-daesh-emirate.